Pernod Ricard has reported an organic sales growth of 7.8% to €5.18 billion (US$5.87bn) in the first half of its fiscal year driven by the “strong” performances of Martell Cognac and Jameson Irish whiskey. In the six months to 31 December 2018, the Absolut vodka producer saw reported sales grow by 5%. Organic profit increased 12.8% to €1.7bn. In terms of brands, the firm’s ‘strategic international brands’ grew by 10%, boosted by Martell, Jameson, Scotch whiskies, gin and Champagne. 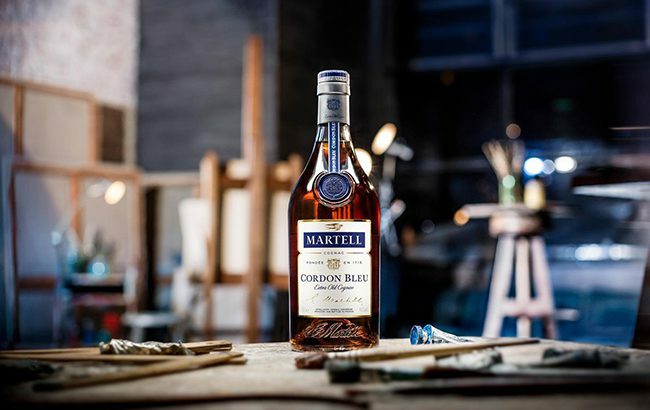 Martell grew by 23% boosted by the US, travel retail Asia and “excellent growth” in China. Jameson increased by 8%, bolstered by the US market, price increases across all regions and the “momentum” of the company’s globalisation strategy. Absolut vodka fell by 1% due to the US market. Outside of the US, the brand witnessed a 4% growth. Malibu rum liqueur decreased by 5% attributed mainly to shipment phasing in the US. The brand’s H2 performance is expected to be stronger. Beefeater gin grew by 9% with strong performances across all regions. Beefeater Pink, which was released in April last year, witnessed “good development”, particularly in the UK. The group’s ‘strategic local brands’ increased by 11%, accelerated by Seagram’s Indian whiskies. The firm’s Scotch portfolio increased by 9%. Chivas grew by 7%, Ballantine’s increased by 8%, The Glenlivet grew by 11%, while Royal Salute “returned to growth” at 15%. The company’s new ‘speciality brands’ category – defined as “smaller-scale craft brands” – increased by 11% with strong growth across all regions. The category benefited from the “very strong growth” of Lillet apèritif (+38%), Monkey 47 gin (+21%) and the double-digit performance of Altos Tequila in Europe, the Americas and Asia. Geographically, the Americas delivered a “robust growth” of 4% with the US “growing broadly in line with the market”. Asia and the rest of the world region witnessed a double-digit growth of 16%, boosted by China, India, Africa and the Middle East. Europe was “stable” with “continued momentum” in Eastern Europe and a “contrasted performance” in Western Europe. Pernod Ricard’s Transform & Accelerate three-year plan began in FY19 with the aim of “embedding dynamic growth and improving operational leverage, in line with the objective of maximising long-term value creation”. Alexandre Ricard, chairman and CEO, said the first semester of the plan “was very strong”. He said: “While enhanced by phasing, it confirms the acceleration of our growth, resulting from our long-term investment strategy. “For full-year 2019, in an environment that remains uncertain, we aim to continue dynamic and diversified growth across our regions and brands. “By the end of June 2019, we will have completed our operational excellence plan announced in 2016, delivering €200m (US$226.7m) of profit and loss (P&L) savings one year ahead of plan. “We are increasing our guidance for FY19 organic growth in profit from recurring operations to between +6% and +8% while improving operating leverage by c. 50bps. The company is currently facing pressure from the arrival of activist investor Elliott Management Corporation, which swooped in and brought a 2.5% stake in Pernod Ricard worth almost €1bn (US$1.13bn) in December 2018.